In the 1830s the 3rd Earl commissioned Sir Charles Barry to transform the original Georgian house into this soaring pinnacled mansion. Today the 8th Earl and Countess take a keen interest in the castle and have added their own personal touches to the splendid State Rooms. The impressive interiors range from church gothic to French ancien regime and the solid masculinity of the long library. Portraits by Van Dyck hang alongside 18th-century works; Napoleon’s desk and chair, rescued from St Helena sit with other 18th- and 19th-century furniture. 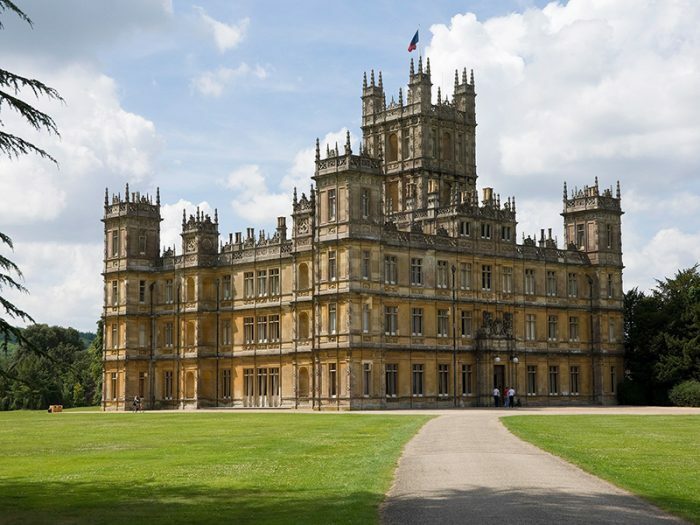 Highclere Castle is rich in treasures yet retains the warmth of a family home. The magnificent parkland with its massive cedars was inspired by ‘Capability’ Brown. The gardens include the monks’ garden, the secret garden and a new arboretum. The Castle cellars are now home to an exciting new Egyptian exhbition. The area has been redeveloped; firstly to display the family’s collection of Egyptian antiquities and secondly to take visitors through the 5th Earl’s path to the discovery of the tomb of Tutankhamun, ‘The Boy King’. Lord Carnarvon and Howard Carter spent 16 years excavating in and around the Valley of the Kings. In 1922 they discovered the only royal tomb of a Pharaoh ever found intact.